Deborah Raku is a psychic medium and a Reiki Master Teacher with an energy healing practice that involves the help of spirit guides and masters. Deborah is not a turban-wearing psychic with the ability to predict the future. Instead, she describes her gifts by saying that she simply has great insight into the present. She was not born this way. Forty years ago she was a computer programmer with a skeptical interest in the metaphysical. That interest led to a decades-long meditation practice, a growing ability to listen to the intuitive voice, a premonition dream about a teacher she met a few days later, an energy blast in Sedona that set her on a healing path, a channeled journal that helped her navigate a painful heartbreak, a memory of a life between lives, and an illuminating journey to see John of God. Deborah is convinced from her experiences that these abilities are available to us all - it is only a matter of beginning to listen. 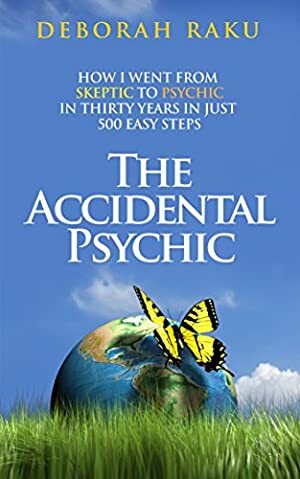 This memoir is an account of how she slowly changed, as a result of tuning in to her intuition, into someone whose mission now is to help others connect with the deeper parts of themselves. This deeper connection is available to us all. In the book she gives practical examples of how meditation can help to open you up to this inner voice and how to recognize it. She gives advice on how to start a journal tapping into that voice and shows how it can help, comfort, and guide you when you most need it. She also gives examples from her energy healing practice that demonstrate how this work can alter lives. Each session is unique and often unexpected. Other practicing healers will gain a great deal from her descriptions of beginning her practice, the necessity of letting go of desired outcome, and the certainty that all is working for the highest good. In this personal story Deborah shares details of how she went from an agnostic and skeptical worldview to one full of spiritual connection, hope, and faith. It is a story of a hero's journey and is "Just a Great Read!" Log In to track Deborah Raku on eReaderIQ. to be notified each time the price drops on any book by Deborah Raku. to stop tracking Deborah Raku. We started tracking this book on November 28, 2015. The price of this book has changed 33 times in the past 1,239 days. This book has been $2.99 17 times since we started tracking it.